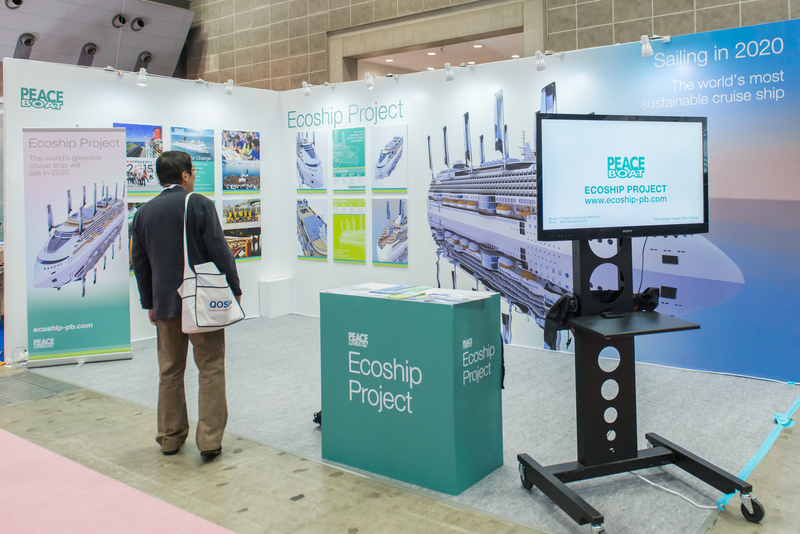 From April 11-13, the Ecoship team will be attending Sea Japan, the biggest maritime show in the country, at Tokyo Big Sight. Every two years, Japan’s maritime industry gathers at this event to inspect the latest developments and to discuss strategy and investment. 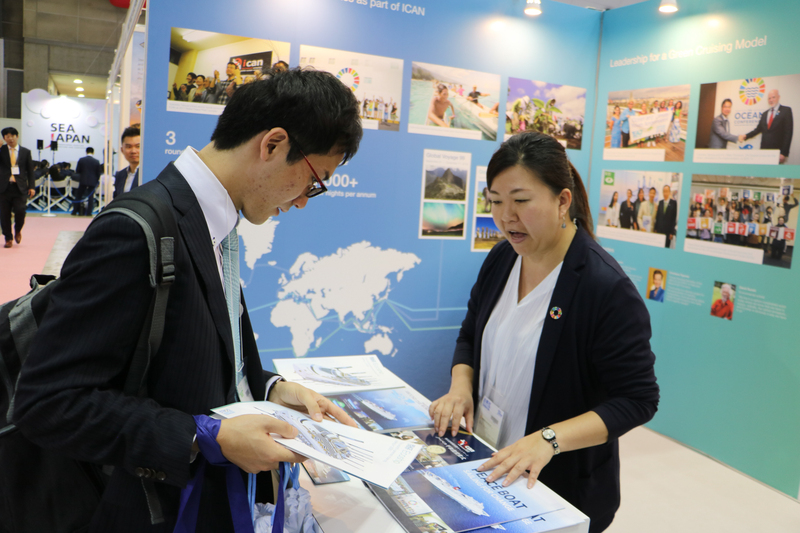 Through exhibitions, conferences and online communities, Sea Japan brings together more than 19,000 industry professionals to network, identify business opportunities and expand global market. This year, the 13th edition is the largest ever with representation from 30 countries. Peace Boat’s Ecoship team will be there introducing the latest news about the project and discussing collaborations in the fields of technology and research, as well as seeking to amplify the Ecoship’s potential for making a change. The Ecoship booth will be at A-34. Sea Japan is Japan’s major international exhibition for the maritime industry, held biennially in Tokyo. 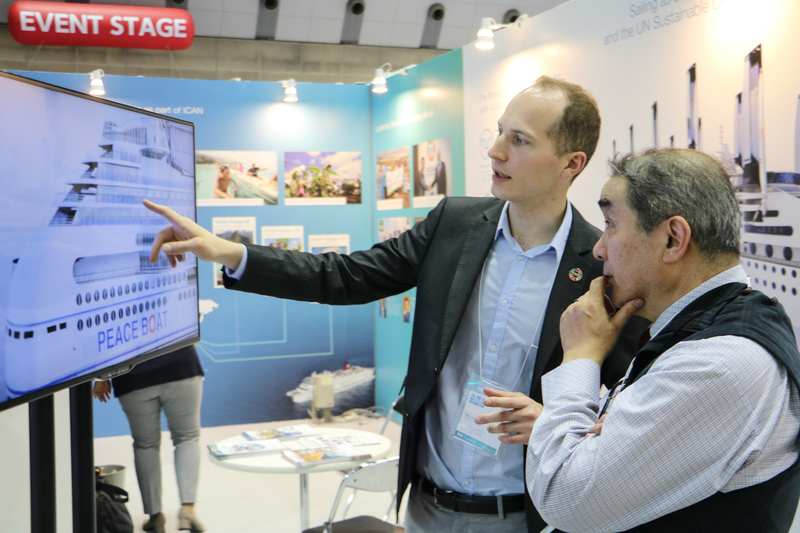 The number of participants has continued to grow each year – at Sea Japan 2016 there were a total of 565 exhibiting companies. In addition to national pavilions from Japan and numerous European and Asian countries, the exhibition features several special product zones and a ‘Japan Maritime Industry Cluster’ pavilion that showcases the very latest technologies being developed by Japan’s shipyards, ship owners, academic institutes and public research bodies.